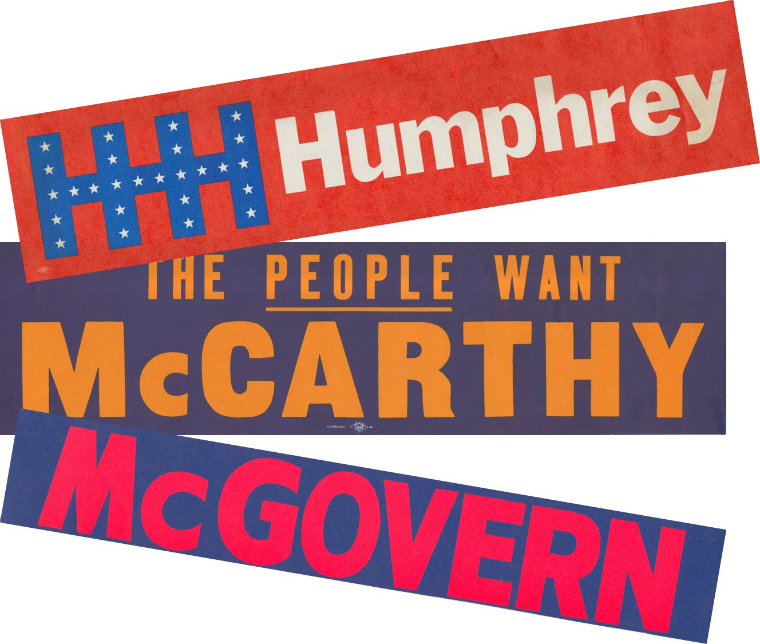 Political Bumper Stickers, 1968Bumper stickers for main candidates Hubert Humphrey, Eugene McCarthy and George McGovern, 1968. 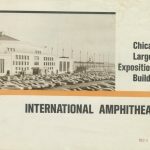 Source: Special Collections, Democratic National Convention Records, Box 4, Folder 2.
International Amphitheatre BrochureDNC location, International Amphitheatre, 4220 S. Halsted. 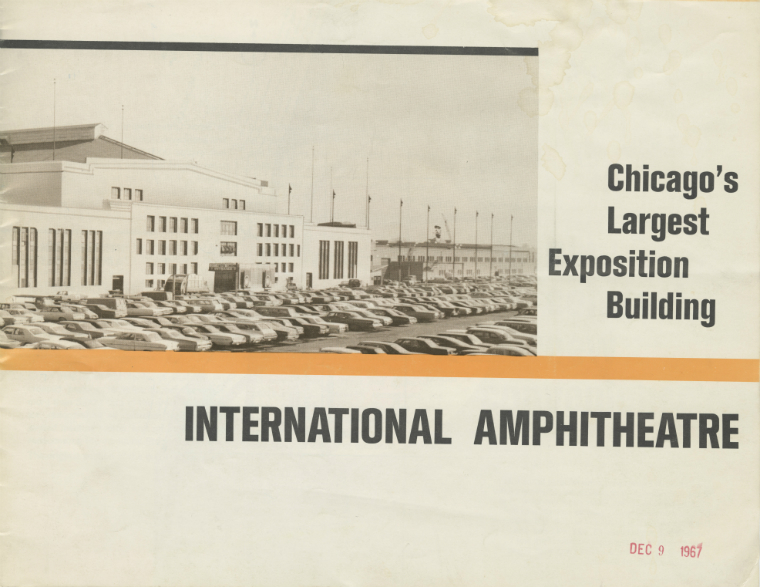 Source: Special Collections, Chicago City-Wide Collection, Box 88, Folder 34. 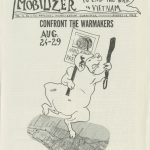 Flier made by protest movement, 1968Flier made by protest movement, 1968. 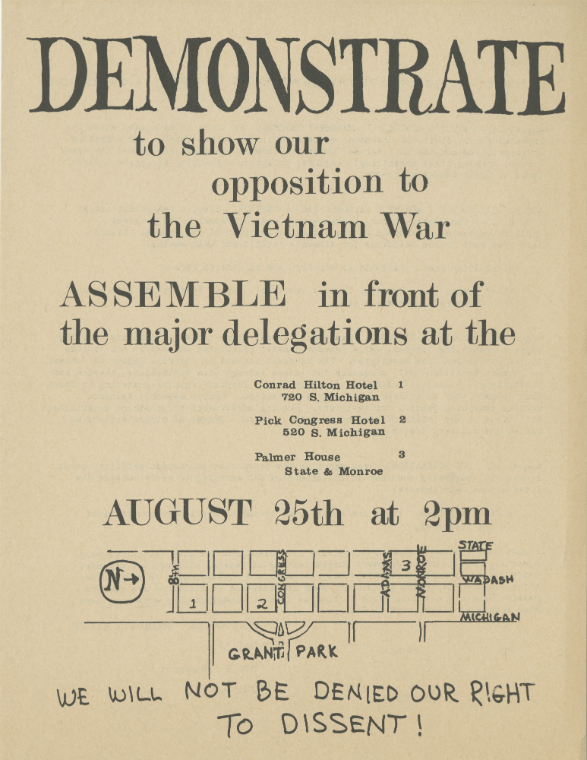 Source: Special Collections, Democratic National Convention Records, Box 3, Folder 46. 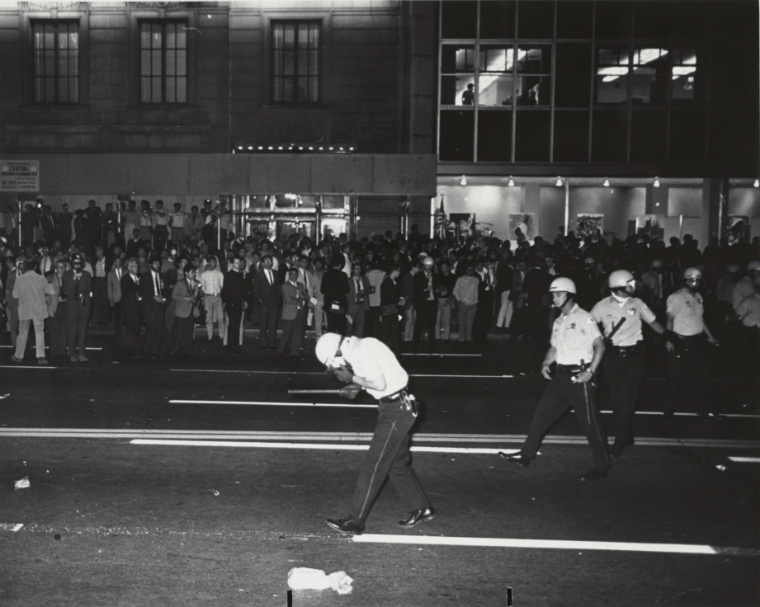 The 1968 Democratic National Convention in Chicago was surrounded by tension and controversy. 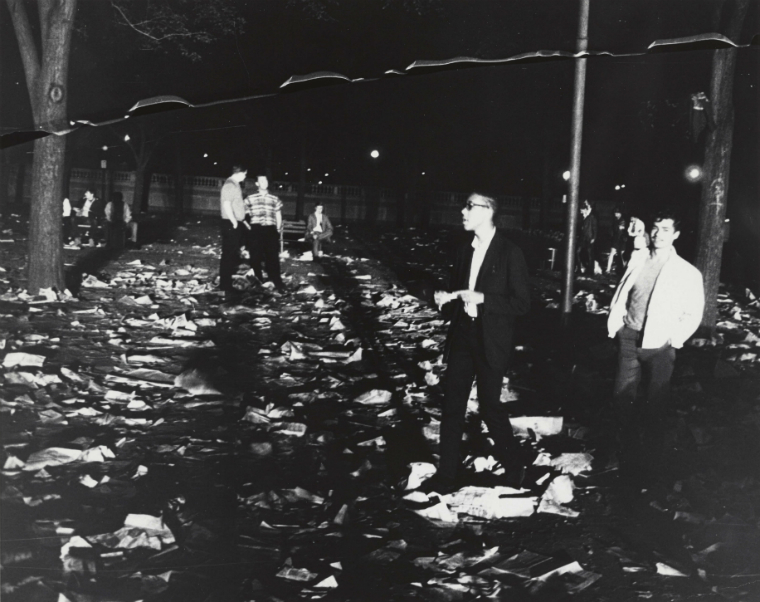 As Chicago marks 50 years since this important episode in its history, you can learn more in Special Collections and at our 1968 Democratic Convention: 50th Anniversary panel discussion on August 23 at Harold Washington Library Center. Panelists will share their personal memories of the convention. 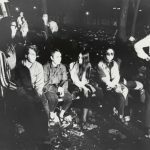 Held August 26-29, 1968, in the International Amphitheatre, the convention determined who became the Democratic candidate for president since President Lyndon B. Johnson had announced he would not run again. 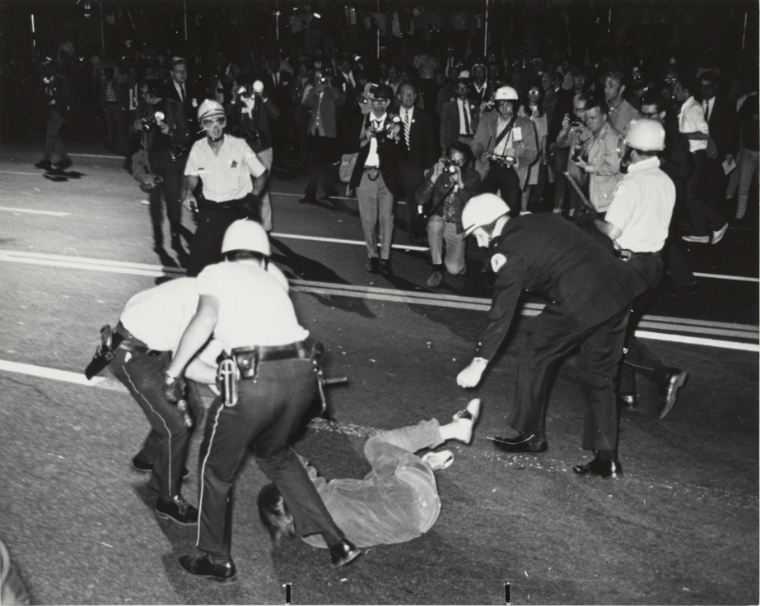 Senator Robert F. Kennedy of New York was widely supported, but he was assassinated on June 5, 1968. Entering the DNC in August, it was unclear whom Kennedy’s supporters would endorse. 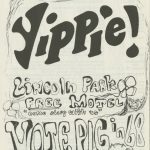 Vice President Hubert Humphrey, Minnesota Senator Eugene McCarthy and South Dakota Senator George McGovern were the leading candidates at the convention in Chicago. Ultimately, Humphrey was nominated, with Maine Senator Edmund Muskie as his running mate. 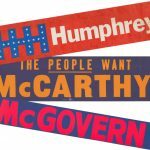 Humphrey went on to lose the presidential election in November to Republican Richard Nixon. While the race for the nomination played out inside the convention hall, another story was unfolding outside. 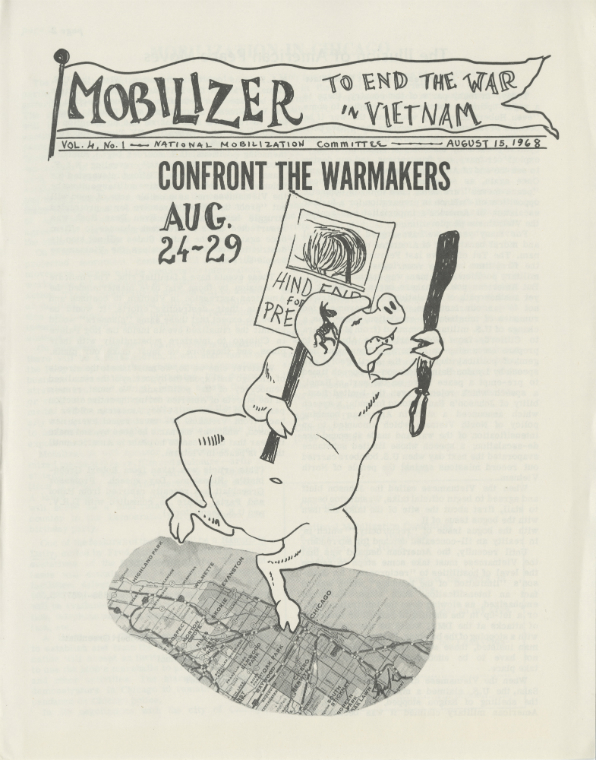 As the war in Vietnam escalated, so did anti-war sentiment among American citizens. 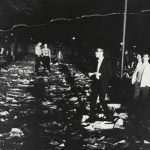 Additionally, the recent assassination of Martin Luther King, Jr., on April 4, 1968, was freshly fueling the civil rights movement. 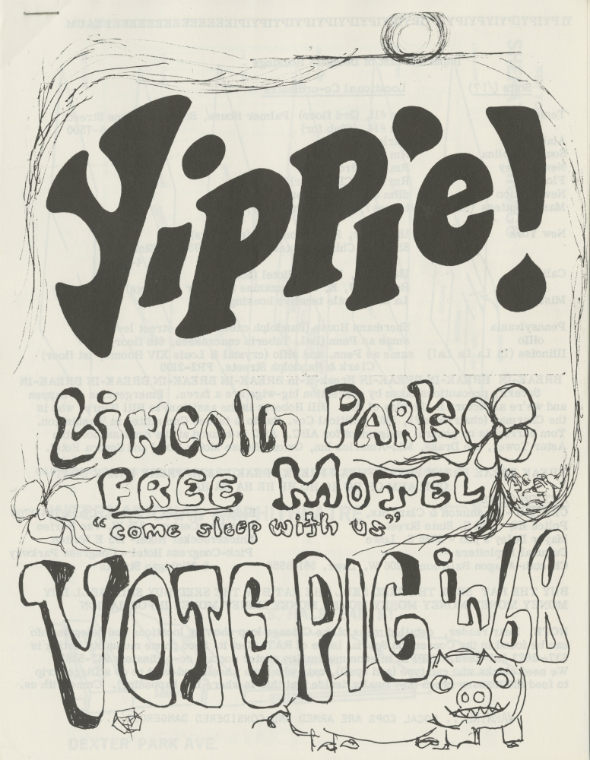 Two main groups of Vietnam War protesters—the Youth International Party, or Yippies, and the National Mobilization Committee to End the War in Vietnam, or MOBE—planned a series of protests throughout Chicago to coincide with the convention. 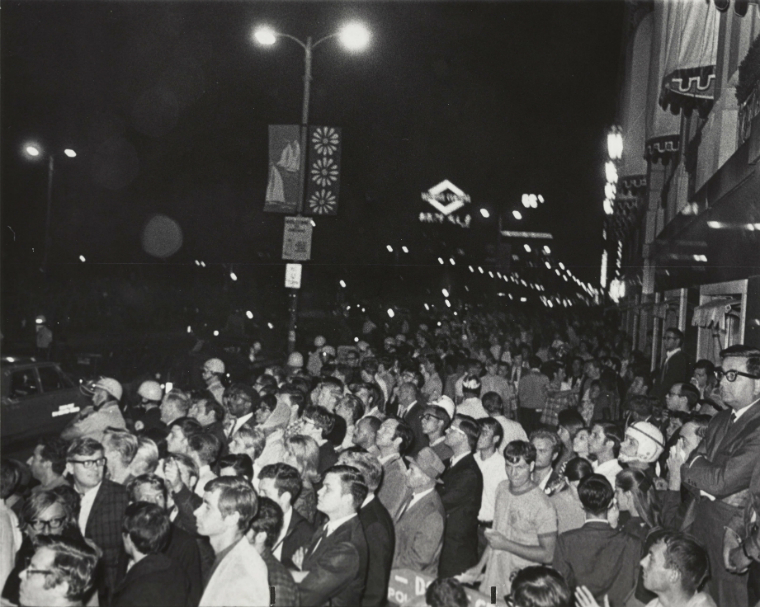 Chicago’s mayor, Richard J. Daley, was aware of the protest plans and conscious of the racial climate in America’s urban centers. 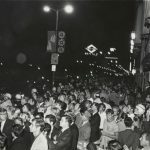 Los Angeles had race riots in 1965, Detroit had race riots in 1967 and riots occurred around the country after King’s death, including in Chicago. 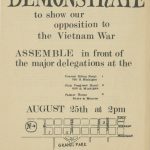 Daley boldly advertised that his city would maintain “law and order.” Yippies and other anti-war groups were repeatedly denied permits to assemble and march, especially in African American neighborhoods, for fear that their purportedly peaceful movement would lead to riots and violence. 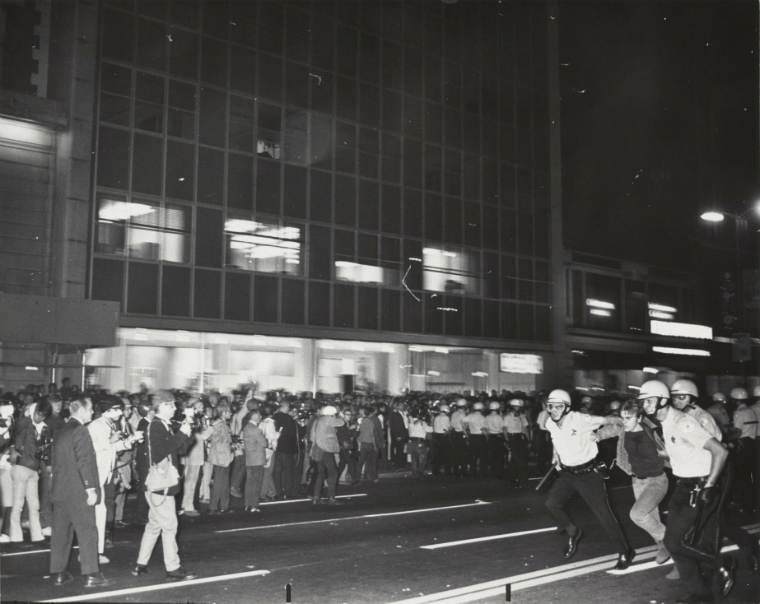 In the days leading up to the convention, police increased their presence and instituted a curfew. 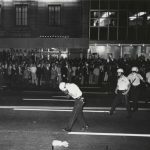 On August 23, planned protests began, and throughout the week, various bouts of violence broke out between the police and the protesters. 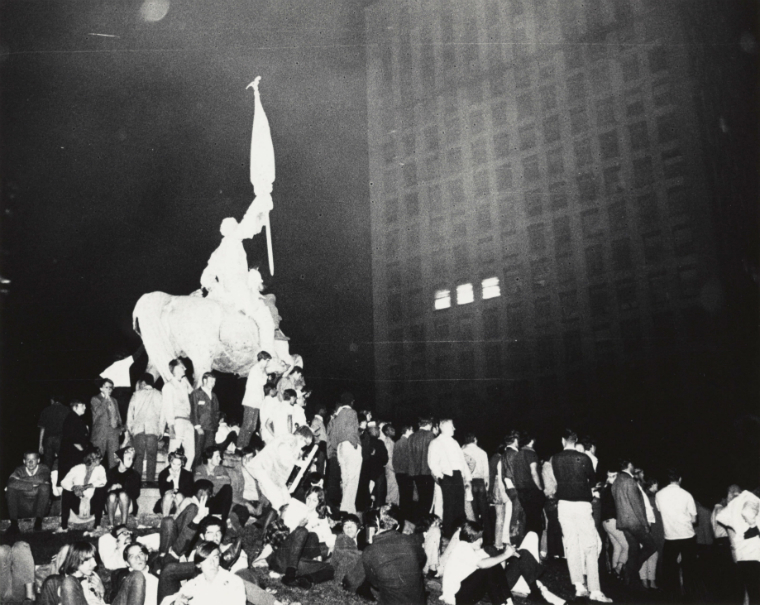 Hundreds of people on both sides were injured, and hundreds more protesters were arrested. 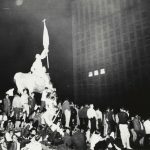 The largest clash between police and protesters occurred on August 28 in Grant Park, across from the Conrad Hilton Hotel, where many candidates and convention delegates were staying. 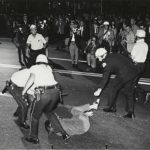 Police attempted to clear an intersection, and their violent actions against largely peaceful protesters were televised for the world to see. 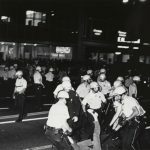 The nature of the response was unrestrained and indiscriminate police violence on many occasions, particularly at night. 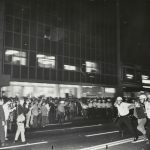 That violence was made all the more shocking by the fact that it was often inflicted upon persons who had broken no law, disobeyed no order, made no threat.... Newsmen and photographers were singled out for assault, and their equipment deliberately damaged. 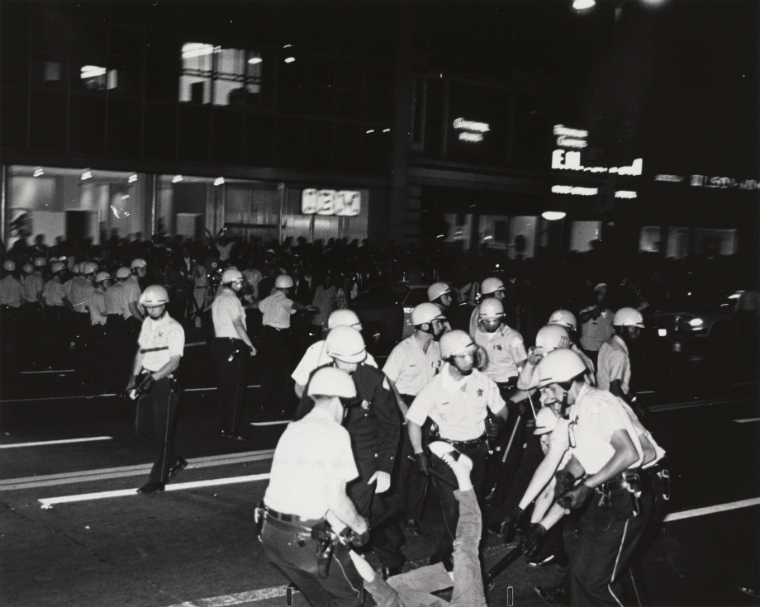 Fundamental police training was ignored; and officers, when on the scene, were often unable to control their men. 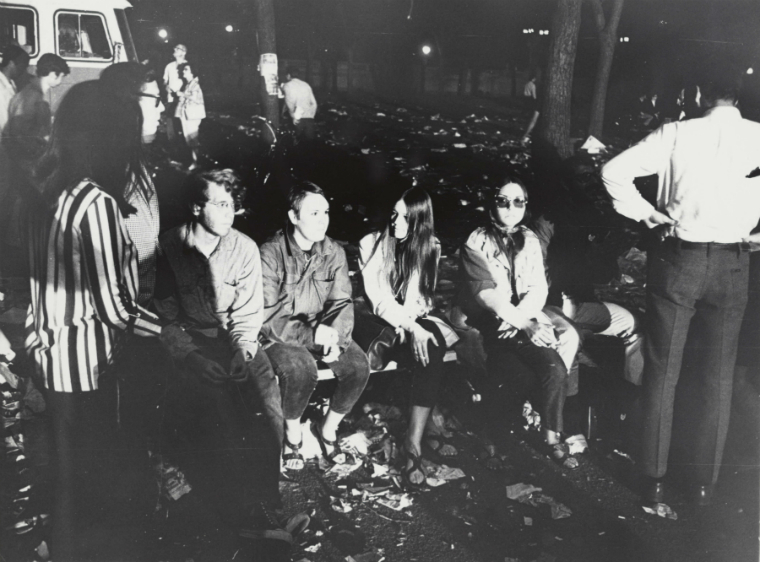 Despite this, eight leaders of the protest groups went on to face a years-long trial and appeal process with charges of crossing state lines to incite a riot, among others. Defendant Bobby Seale, one of the founders of the Black Panthers, was removed from the initial group and sentenced separately to four years in prison for contempt of court. 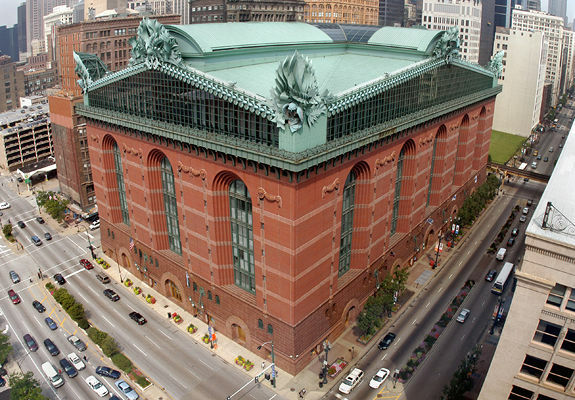 The Chicago Seven, as the remaining group came to be called, were ultimately acquitted of most charges and served nominal sentences, if any, for their convictions.